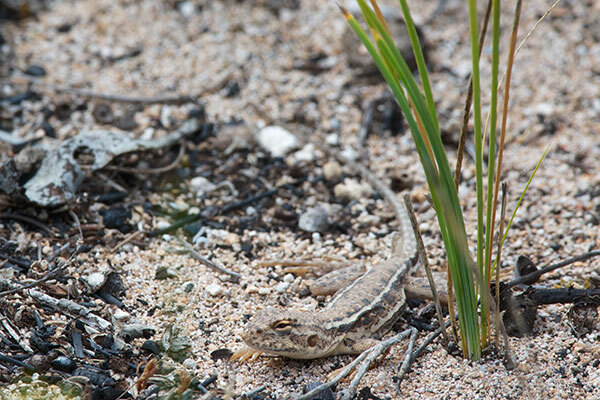 I spent a half hour or so wandering about in the sandy mallee scrub of Hincks Conservation Park to see if I could scare up any lizards or snakes. 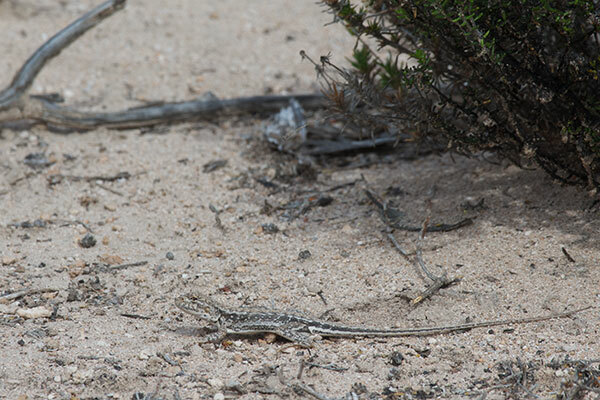 The first fifteen minutes were uneventful, but then I spotted a small light gray lizard shape racing into a bush. I could not find that one again, but soon I saw three or four more. If I was too close, they would race far away and disappear. But if I saw them move while I was still pretty far away, I could then sneak up and get a photo or two before they would race off again.